Program Summary: You can be sure that anything coming from Matthew Hirst, current president of ATD Dallas and Senior Director of Talent, OD, & Learning for the GME (GameStop) family of brands, will be provocative and productive. Guided by his imagination and leadership, GME won an AXIS Award for its internationally acclaimed and proprietary LevelUp learning platform, and GME secured the AXIS Award’s “Best in Show” for its innovative ways of identifying, assessing, and developing HIPO talent. Matt has been featured in CLO Magazine and other leading publications for his team’s innovative work related to associate training and leadership development. 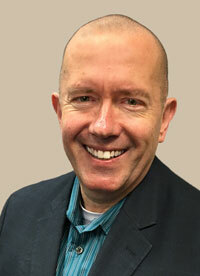 Matt’s facilitation style has been described as highly engaging, humorous, provocative, and practical. As a passionate evangelist for our profession, Matt believes that L&D success is closely linked to our integrated abilities to challenge and champion our organizations with “bigger, better, and bolder” ideas. Matt’s long and diverse career includes senior-level roles in operations, corporate education, organizational branding and communications, and employee relations. He has earned undergraduate degrees in management and finance. He will soon add a PhD in psychology to graduate degrees in management and educational leadership. The event will be hosted at GameStop’s Corporate Campus in Grapevine, Texas. GME is a Fortune 500 and S&P 500 company. GME is the world's largest and most successful family of gaming, mobile, and entertainment brands with over 6,000 company-operated business units in 15 countries worldwide and online at www.GameStop.com. The network includes GameStop, EBGames, Game Informer, Micromania, Simply Mac, Spring Mobile, Spring Business, and ThinkGeek. The meeting will be held at GameStop 633 Westport Parkway, Grapvine, TX 76051 (door with 400 displayed above it, also known as CBI). 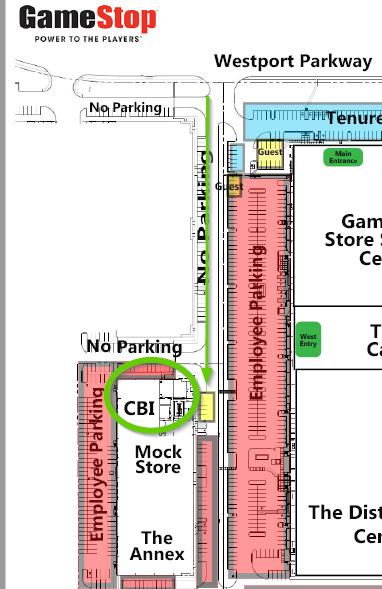 You may park around the perimeter of CBI, in the red area Employee Parking.